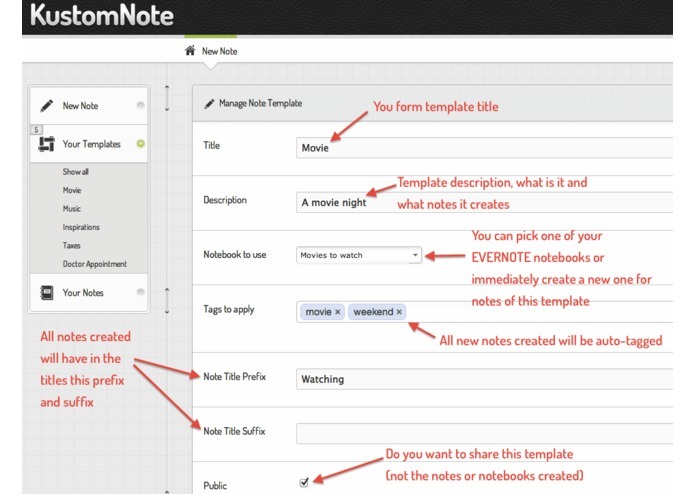 KustomNote has more than 56 indispensable unique features to empower Evernote's 34+ million notetakers. User Friendly. No seven-level menus to go through. Once logged in you are 1 click away from taking a note. Set a default notebook for each form template you have. Configurable tags. You can set your tags once for each note form template, new notes will be automatically tagged for you. Preset title prefix and suffix. Set that once and it will be applied to all new note titles created with that template. Include fields in note title. Set fields to be included in the note title which means you get meaningful titles without doing anything. SmartField - Movies. A non-conventional field that shows up as an autocomplete field that searches for movies.Select a movie and it will magically render a beautifully designed snippet with the poster, ratings, stars and links to IMDB, RotternTomatoes and to book tickets on Fandango. 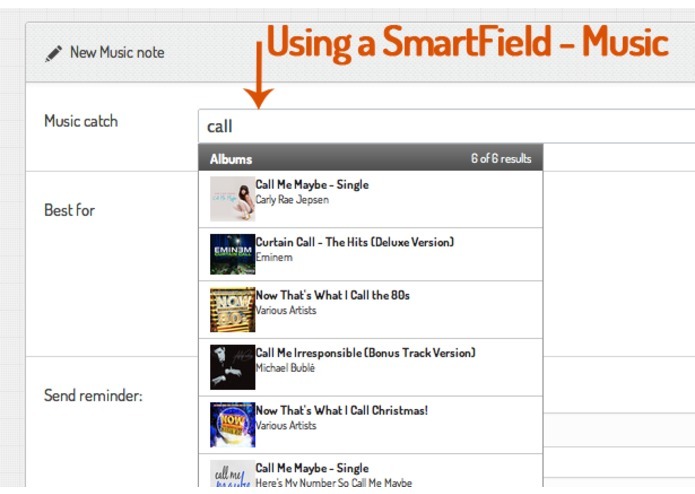 SmartField - Music. Selecting one of your template fields to be SmartField - Music, same as for Movies, it will display an autocomplete field that matches against Artists, Tracks, and Albums and renders an amazing snippet about that song or artist, with an album art graphic and links to iTunes. Set your fields to be required, such fields won’t be allowed to be left blank in creating notes. Flexible and constrained. Pick a type for every field and and once set, rules like email format, URL or numeric would be fully enforced. Date and Datetime easy entry. Note creation forms will automatically have date and time selectors for easier and valid values entry. Preset values to select from. 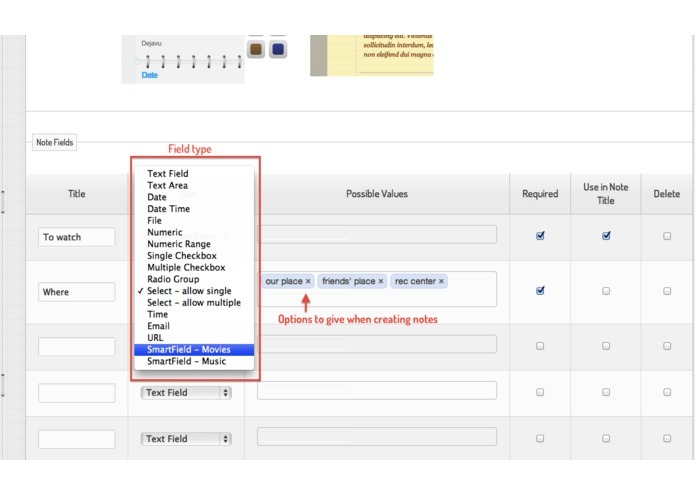 For field types like Multiple checkboxes, Single Select, Multiple Select or Radio Group, you create a set of possible values that will be presented on creating notes. Set multiple attachments of files and images with structure and rules for a note template. Take notes in style. No more bland and boring notes. With KustomNote you initially get two themes to select from with color variations (all themes are fully ENML compliant). Icon Stamps. Mark your templates with icons to be easily recognizable. Notes created are automatically stamped, stored and shared with the icon selected. Set email reminders. Once set for a day and time, KustomNote will send you an email reminder to remember that appointment or movie note. Share your templates. Get some good karma and share your amazing templates. You can share your note template forms to Twitter, Facebook and LinkedIn. Browse and use public templates. If can use some help with setting up templates for effective note-taking, browse public templates created by other awesome KustomNoters, clone them and make any changes you like. Everything in one place. With KustomNote you get all those 9 yards, create, update and list your notebooks and notes within the application. KustomNote is mobile and everywhere. 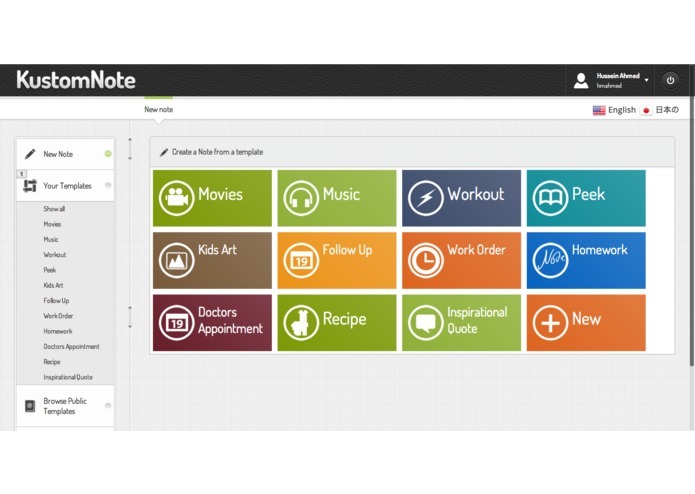 With an effective responsive design you can access KustomNote from your desktop computer, iPad or smartphone. Customized notes for applications like Peek is a breeze, it would be a template with two fields Question/Hint & Answer with the Question field set to be used in the note title. Evernote is huge in Japan (also). 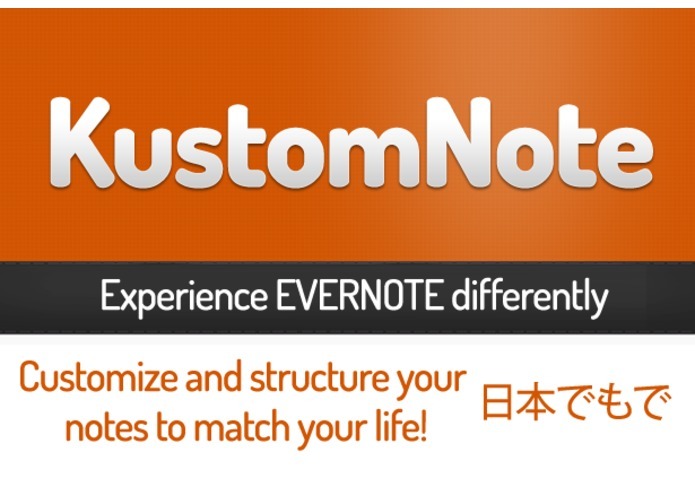 KustomNote fully supports the Japanese language for the whole interface and data entry. See all the features for yourself at http://kustomnote.com and start creating note forms for your calories log, workout log, travel itineraries, homework's, your medical appointments, your children art collection and vaccination shots, your pets log, workout and medical records.. well, you get it, for everything in your life! 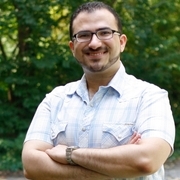 PhD in Computer Science ~ Entrepreneur ~ Founder of @kustomnote and @heyrecall. Development Manager at VTLS Inc.